The Supreme Court today announced its verdict on the Star India and Vijay TV appeal challenging the Madras High Court order that had upheld the TRAI tariff order and interconnection regulation. The apex court dismissed the appeal from the broadcasters and upheld the High Court's decision. As per the Telecommunication (Broadcasting and Cable) Services (Eighth) (Addressable Systems) Tariff Order, 2017, the broadcasters have to declare the MRP and nature of channels within 60 days; distribution platform operators (DPOs) have to declare network capacity fee and distribution retail price (DRP) within 180 days and reporting by broadcasters within 120 days. The Telecommunication (Broadcasting and Cable) Interconnection (Addressable Systems) Regulations, 2017 mandates publication of Reference Interconnect Offer (RIO) by Broadcasters within 60 days; Publication of Reference Interconnect Offer (RIO) by DPOs within 60 days and signing of the interconnection agreements within 150 days. The arguments made to the SC had concluded on October 11th, however, the decision was delayed latest till 31st October. 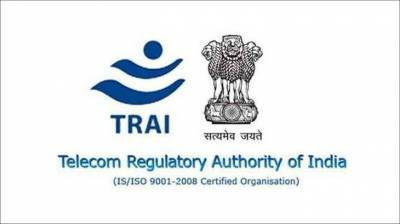 Other broadcasters like Zee Entertainment Enterprises Ltd. and Sony Pictures Networks India (SPN) had already announced the MRP of their channels and filed their reference interconnect orders (RIO).